Christ the King Elementary (K-8) School is a ministry of Christ the King Church to its families and the greater Topeka community. We look forward to partnering not only with our member families, but also with any Catholic or non-Catholic parents and families in the formation of their children. At Christ the King you will find a uniquely spirited, focused, faithful, sacrificial and personal approach to education. 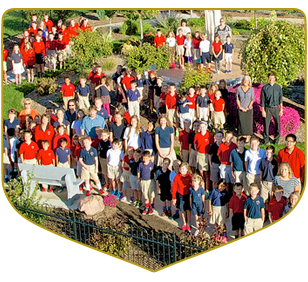 Christ the King school was founded in 1995 on the strong belief that students learn best in an environment where they are personally connected to the author of all life, truth and love, Jesus Christ. We proudly stand in the long tradition of Catholic education. The Catholic Church has as its first mission to faithfully transmit the beauty and power of the Gospel of Jesus Christ. Our Catholic school is thus our largest and most important apostolic work of our Church. We consider it a great privilege to provide a uniquely effective learning environment, where students glorify God by developing all their gifts to their highest potential. A fruit of our mission is that our students achieve in all areas (spiritually, academically, socially and through a variety of activities) when they receive education in conversation with our Lord and His Church. We are excited to enter into our third decade helping students and families to thrive in the great tradition of Catholic education. Our mission is to help our students learn and grow with God. Our administration, staff and faculty are passionate about helping our students encounter and learn, beginning with their relationship with God. God is a Trinity of persons (Father, Son and Holy Spirit), so we strive for a deeply personal educational experience by being a true communion and family to each other. Our educational philosophy is that our students learn and grow best when they are in a personal relationship with God and each other. We are eager to show you our joyful, virtuous and focused educational environment. Come see for yourself the uniqueness and strength of our mission. 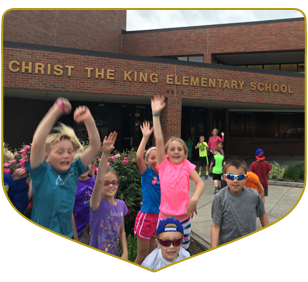 Christ the King School is a Catholic community where all students will Learn and Grow with God. In partnership with parents, students, and school personnel, Christ the King School is dedicated to the teaching and nurturing of the Catholic faith and Christian values. Our curriculum is designed to educate the students spiritually and academically while providing ample opportunities for social and emotional growth. The love of Christ compels our parish (Church, School, Early Education Center) to extend His Kingdom by teaching, serving and sanctifying all people entrusted to us with the fullness of the Catholic faith. 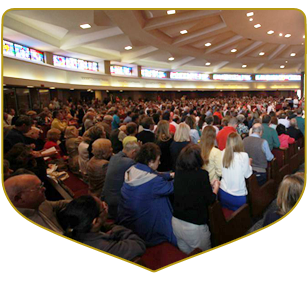 Our parish belongs to the greater Roman Catholic Church through the Archdiocese of Kansas City in Kansas and is a member of Archdiocesan Catholic Schools. We also partner with our sister schools in the Topeka region. We encourage our graduates to continue their Catholic education at Hayden High School. A Catholic educational environment is only possible when everyone sacrifices and buys into the mission of our school. Our administration, staff and faculty make only 75% of public school salaries, and yet believe so strongly in our mission that our average teacher tenure is over 9 years. We have a solid, well-trained, educated, and committed staff who strive for excellence in both their personal and professional lives, witnessing to the Catholic faith. Our families too must sacrifice financially and personally to make this investment for their children. Our families happily respond to our expectation to be personally involved in our mission. We are truly a family committed to our mission together. 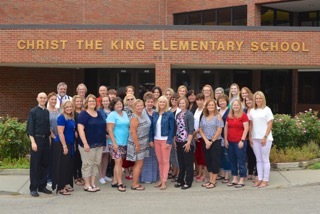 Christ the King school is guided by an elected School Advisory Council and supported by a robust Parent Teacher Organization (PTO) and Booster Club. Fr. Matthew Schiffelbein was ordained in 2009 and named pastor of Christ the King Parish in 2016 after serving the Archdiocese first as an associate pastor at Ascension church in Overland Park. He then became pastor in 2012 in Garnett at Holy Angels Parish and St. John the Baptist Parish in Greeley, Kansas. 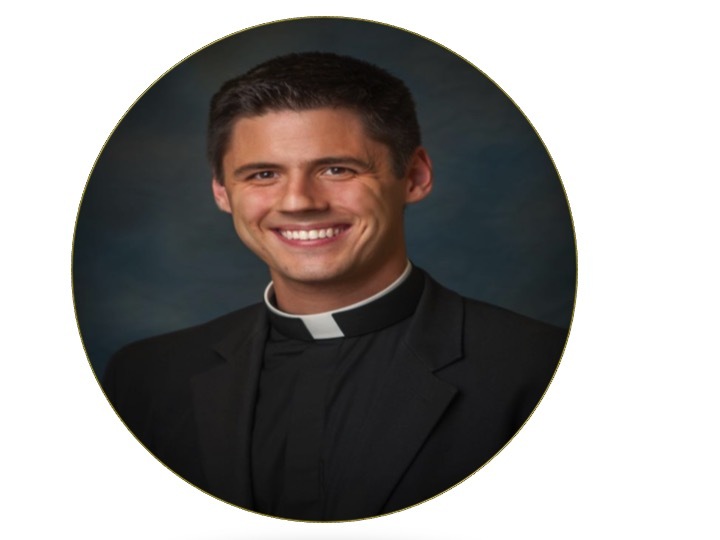 Father Zielinski is from Overland Park and attended Saint Thomas Aquinas High School. After two years at the University of Kansas, he heard the Lord calling him to the priesthood and left KU for Conception Seminary College. 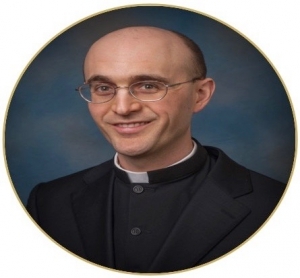 He then studied theology in Rome for four years before his ordination to the priesthood in June, 2018. He loves sports, learning new languages, and leading people closer to God. Ms. Relynn Reynoso has guided the Christ the King School Community since 2002. Ms. Reynoso holds a B.A. degree in Education, Masters of Administration, and a specialist degree in Administration and Human Resources. 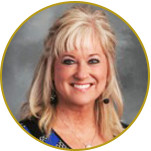 She was assistant principal in Tonganoxie, KS and principal of St. Matthews Catholic School Topeka, and has taught in the Auburn-Washburn and Topeka school districts. She is regional coordinator for Topeka Catholic Schools. Our school is enriching not expensive. Click here to make Catholic education a reality for you. Explore all the opportunities our students have to magnify and develop their many gifts and talents. Learn more about our school, its technology and facilities, and what all they have to offer .